There are many things synonymous with air travel - long security checks, the wonder of flight, praying you don't get a baby next to you, and of course - tomato juice. We'll bet you haven't even seen tomato juice outside of a flight. 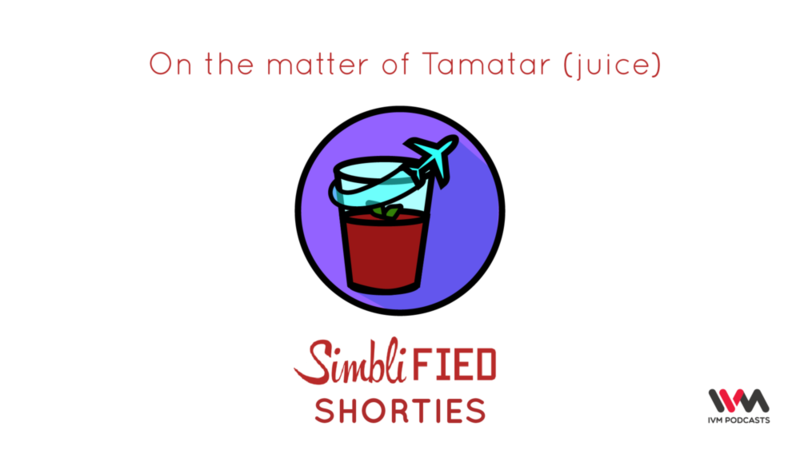 The drink is very popular on flights for a variety of reasons, and we explore why, in a Simblified Shortie (a format where we explore profound questions in less than 15 minutes). It's an Indian podcast - probably the best to come from Malad West - that takes things that happen around us, and deconstructs them in language you can understand, often surmounting several puns and PG Wodehouse references along the way. We aim to make you appear smarter during parties, job interviews and dates. Your hosts (and Twitter / Instagram handles) are Chuck (@chuck_gopal / @chuckofalltrades), Srikeit (@srikeit, @srikeit) and Naren (@shenoyn, @shenoynv). We are part of the IVM Podcast network, who, till this day, wonder why they signed us on.